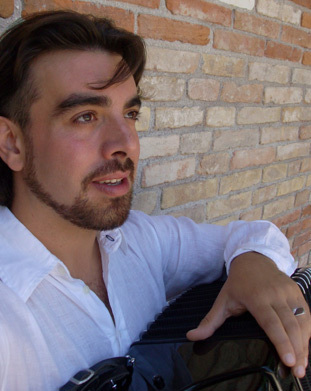 Since the end of the 19th Century, Ialian migrants have disseminated the accordion to the farthest regions of the world, untill it became one of the most popular instruments of many different folk and urban musical traditions. The history of the accordion is very much tied to Italian people and culture: they used to be (and still are) the most inventive accordion makers. 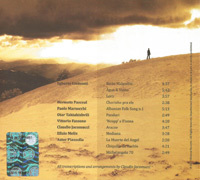 Migration has always had a huge influence on music: the meeting of languages, religions, cultures as well as the performing skills, the characteristics of the sound produced by the instruments as well as technological advancements have all had a radical effect on the process of transformation and renewal of music. After the second world war, the classical accordion - a seven octave range, multi-timbral, polyphonic instrument - was developed by russian masters and through the experimental work of european performers adn craftsmen. Composers like Berio, Gubaidulina, Kagel, Sciarrino, Sonatoni, Globokar have explored its new tonal potential, techniques and possibilities, causing the listener to forget about the usual repertoire associated with accordion such as songs and dances, tangos, musette, klezmer and balkan music. Nevertheless, composers have always been aware of the power of traditional melodies, rhythms and sonorities; some of them have extracted and processed traditional elements withn their own language, like Bach, Bartok or Stravinsky. Others, deeply affected by traditional music, have reinvented and revitalized their "native" music, going very much beyond the canons of tradition. The influences from different genres, styles, a broad technical knowledge and phenomenal instrumental skills created new, original music such as Chopin's Mazurkas, Piazzolla's Tangos or Gismonti's Brasilian Music. 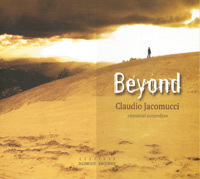 All the works featured in "Beyond" are based on this last approach. I have arranged and trascribed all the works which were not originally written for accordion (except my own work) using extended techniques and with orchestration in mind, rethinking, rewriting the music according to its original spirit and character.